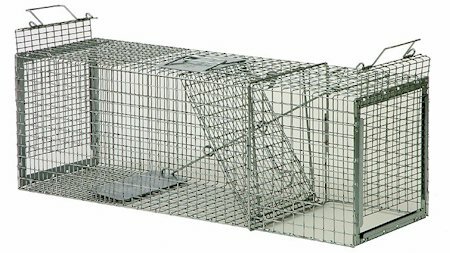 Safeguard Safeguard® 53000 Universal Cage Trap (53000) Northern Sport Co.
Our stock#53000 Safeguard Universal Trap is great for burrowing animals such as woodchucks, opossums, skunks and similar sized animals. Constructed of Galfan™ wire as opposed to common galvanized wire for a higher corrosion resistance, resulting in a three-times longer life. 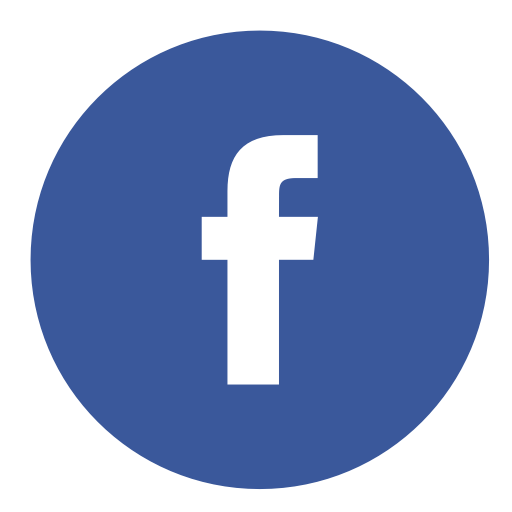 Works for animals that burrow underground or into trees and buildings. Recessed door enables you to set the trap flush with trees, building and walls. Universal in the fact you can close the sliding end door and set the trap over a burrow. 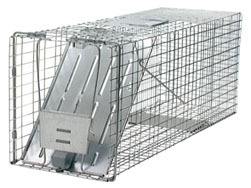 The critter will enter the trap through the bottom opening making the set near fool-proof. Equipped with steel rod reinforcement, easy release doors, carrying handles and hand guard. Made in the USA and covered by a 1 year warranty against manufacturer's defects. NOTE: Additional shipping charges may apply to certain zip codes.